The Lenovo ZUK Edge smartphone should have been launched on December 7 as teased but quite surprisingly Lenovo went mute about the device. Now another set of renders of the device have leaked online showing once again the front view of the white colored variant, this time around while being charged. The renders are similar to the previous ones which had featured in earlier leaks. The front physical home button still lies under the display and that is also rumored to have embedded under it a non-aperture fingerprint sensor. We are still short of renders of the back view of the device but the Edge’s appearance on TENAA did give us a glimpse of that. 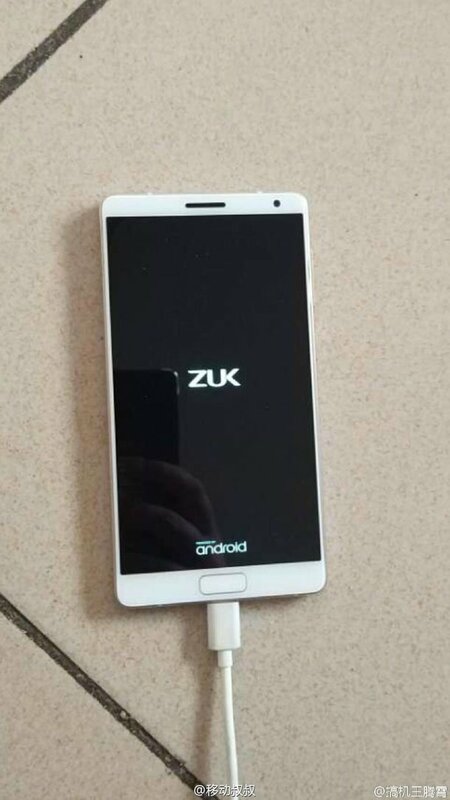 The Lenovo ZUK Edge should launch any moment from now considering December 7 has come and gone. Whenever it does launch, the device will likely feature a 5.5-inch 1080p display and powered by a Qualcomm Snapdragon 821 processor backed by 4GB of RAM. There will also be 64GB of internal storage as well as 3,000mAh built-in battery with fast charging support onboard the flagship. In addition, the device is touted to come with USB Type-C interface, an 8MP front camera, 13MP rear camera and many other cool features.